Batavia Memories Project: Fifty Years of Fun! 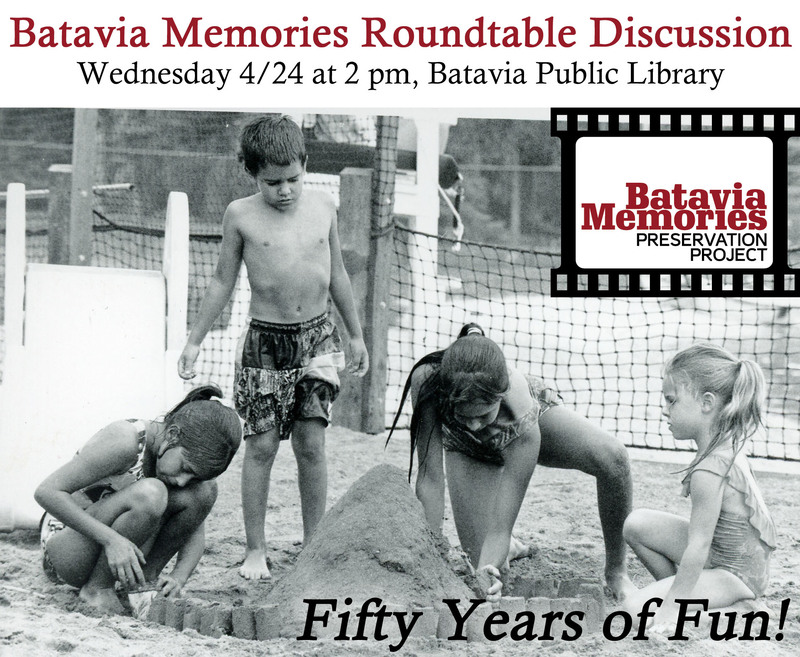 As part of Batavia’s Preservation Week, join us at the public library for a lively discussion about all the fun we have had here in Batavia! We will cover topics such as the origins of the Park District in 1969, talk a little about the Quarry as the town swimming spot, and show historic photos. Bring your memories! Presented by the Batavia Depot Museum and the Burnham Creative Group.